Tooth whitening is a safe and easy way to dramatically brighten your smile and has become one of the most popular cosmetic dental procedures offered today. We all expose our teeth to an array of harmful staining agents (such as coffee, tea, soda, wine, and tobacco) each and every day. Daily brushing and periodic dental cleanings may not be enough to remove these deeply embedded stains. At Merit Dental in Kalamazoo, near Holland and Grand Rapids, our cosmetic dentist utilizes the Zoom!® Tooth Whitening system as well as a custom tray method to effectively eliminate discoloration and reveal a sparkling smile. Contact our cosmetic dentistry office today if you are interested in safely and dramatically improving your appearance in as little as a couple hours! Our Grand Rapids area cosmetic dentist, Dr. Brett Magnuson, is one of the growing number of doctors who offer Zoom!® – the revolutionary tooth whitening procedure that can brighten your teeth up to five shades in a couple hours. Zoom!® is one of the fastest, most effective tooth whitening systems available. Zoom!® Tooth Whitening is fast and convenient. The effects of Zoom!® Tooth Whitening are long-lasting, as teeth that have undergone the procedure are resistant to future discoloration. Zoom!® is proven to be safe and effective, and patients experience very low levels of sensitivity. Patients from Kalamazoo and the Grand Rapids region seeking Zoom!® Tooth Whitening are in luck. 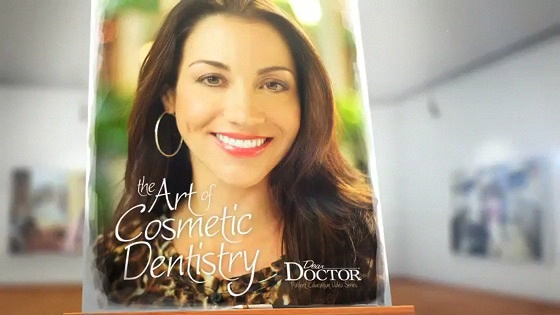 Cosmetic dentist Brett Magnuson is a Zoom!® Tooth Whitening trained dentist. Alternative, over-the-counter tooth whitening trays require up to four weeks. Zoom!® Tooth Whitening produces immediate results and can brighten your teeth by up to five shades! Merit Dental can dramatically brighten your smile today! Merit Dental examines the teeth and gums. The examination determines whether the patient’s gums are healthy enough to handle the Zoom!® in-office tooth whitening procedure. After the patient is cleared for the procedure, the patient’s gums and lips will be prepared – to isolate the teeth.Merit Dental will apply the Zoom!® Tooth Whitening gel to the patient’s teeth. A special low-heat light is then used to activate the gel. The process breaks down hydrogen peroxide and allows oxygen to enter the teeth, bleaching the dentin and the tooth enamel. This takes about twenty minutes. This procedure is repeated two more times, allowing Zoom!® Tooth Whitening to take its full effect. Dr. Magnuson will administer a short fluoride treatment, completing the Zoom!® in-office tooth whitening procedure. The effects of Zoom!® are immediate. Patients who undergo the Zoom!® Tooth Whitening procedure with our cosmetic dentist will drive home with a bright, rejuvenated smile. Additionally, our patients can combine their tooth whitening treatment with any number of the cosmetic dentistry procedures Merit Dental performs. Based on your individual needs, porcelain veneers, porcelain crowns, composite fillings, and more can be utilized to create a stunning smile makeover. Contact us and arrange a consultation. In addition to our in-office Zoom!® Tooth Whitening treatment, Merit Dental patients also have the option to improve their smile in the comfort of their own home using custom tooth whitening trays. At-home tooth whitening trays feature the convenience of nightly use and the power of professional strength gel. Patients wear a custom tooth whitening tray either over night or two 30 minute sessions daily. Patients achieve a dramatically brighter smile after two to three weeks of treatment. If you are interested in at-home tooth whitening, schedule an evaluation at our office in Kalamazoo – conveniently located to serve the greater Grand Rapids community. After an examination we can determine whether you are a candidate for custom tray tooth whitening. This checkup is an essential element to the success of at-home tooth whitening. If you have any cavities or decay, the gel could actually cause damage. We ensure your teeth are repaired before the tooth whitening process begins. If you would like to have dramatically brighter teeth, contact our Kalamazoo office serving Holland, Grand Rapids, and the surrounding areas to schedule an appointment.